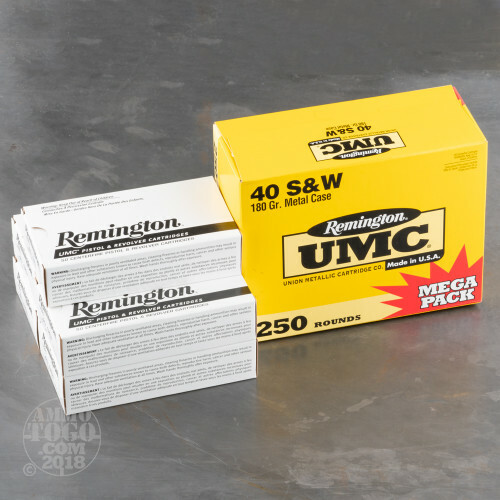 This .40 S&W ammunition from Remington delivers cost effective performance on the range whether you are shooting targets casually or conducting serious tactical training. These cartridges come packaged in a 1,000 round bulk case suitable for high volume use. 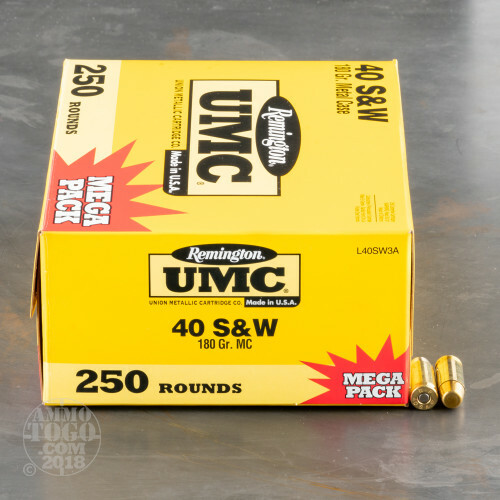 Each cartridge fires a heavy, 180-grain full metal jacket (referred to by Remington as "metal case") bullet at a muzzle velocity of 990 feet per second. 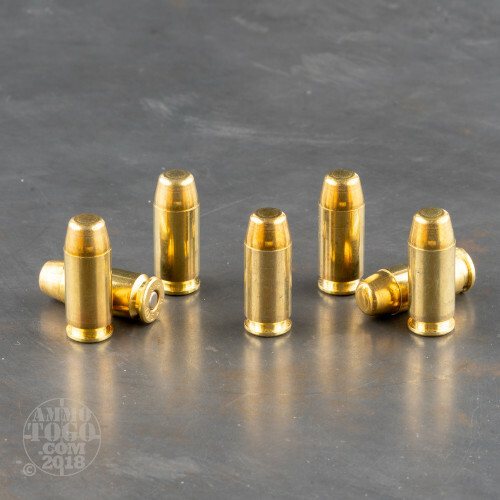 As with most .40 S&W loads, this ammo produces flat trajectories, good accuracy, and relatively high felt recoil; the flat nosed bullets are an asset for target shooting, as they produce clean, visible holes in paper targets. 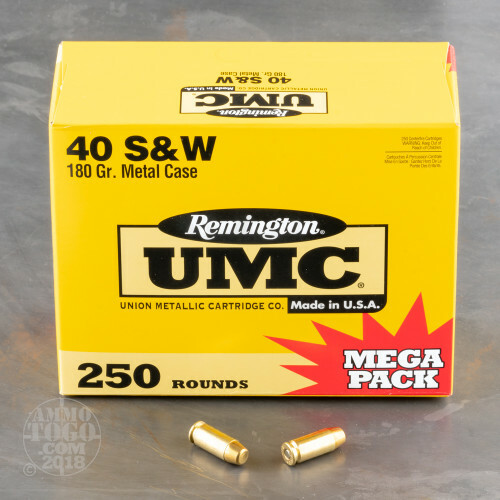 This ammo is loaded in Lonoke, Arkansas by Remington and uses non-corrosive Boxer primers and brass cases. Remington is one of the oldest names in the US shooting industry and produces both firearms and ammo. The company was founded in 1816 and currently operates as part of the Freedom Group.